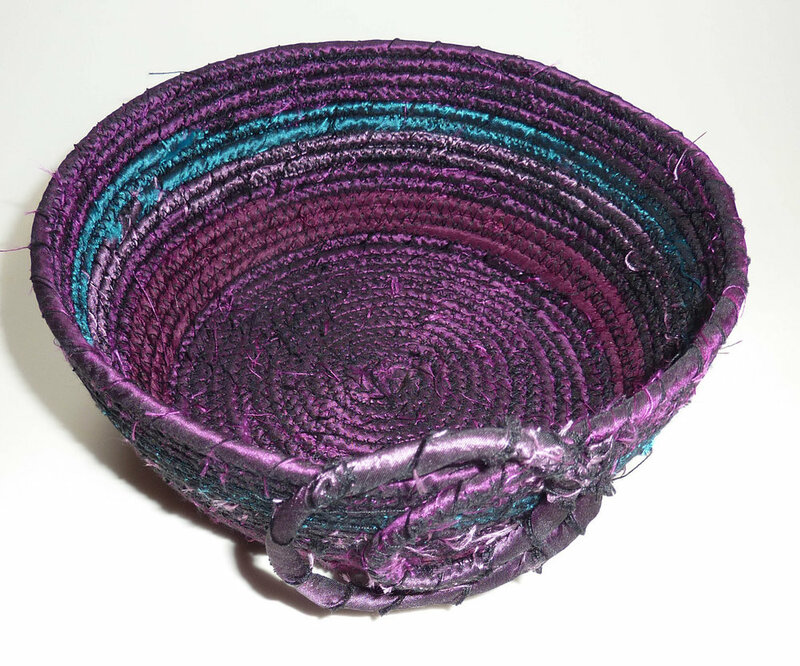 Nancy Shafee will be running another coiled basket workshop for the FLEWS Group at Betchworth Village War Memorial Hall, Station Road, Betchworth on 11 May 2019. The hall is immediately opposite Knitghts Garden Centre. This is a wonderful way to use all your favourite but now unworn summer dresses or blouses, or perhaps you have been saving your daughter’s childhood dresses? Instead of hoarding redundant clothes you can turn them into pretty baskets to use around the home - for keys in a hallway, makeup or hair accessories in a bedroom or bathroom or all those ‘useful’ paperclips and rubber bands we all collect from the post. 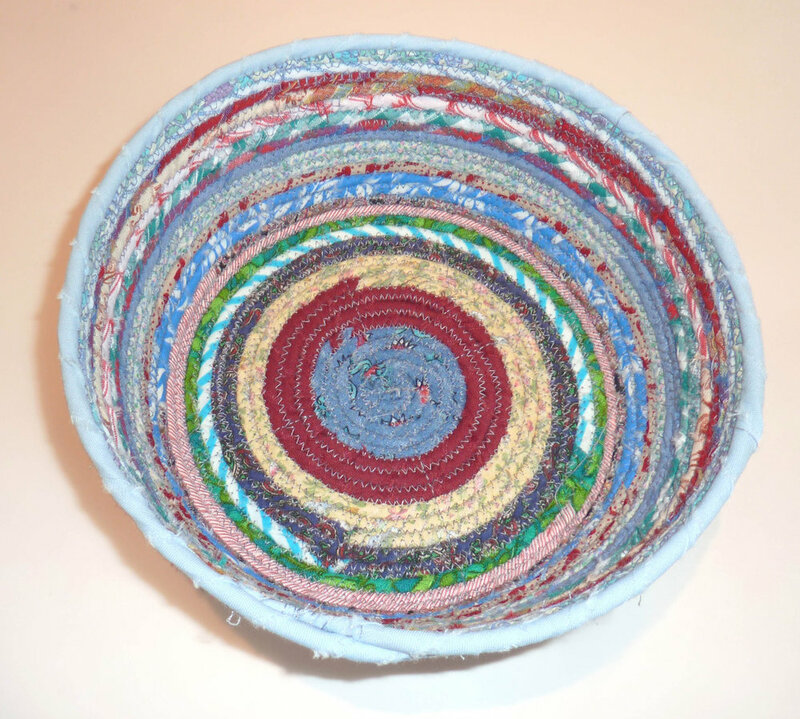 You will learn how to make baskets both by hand-sewing them, and stitching on a machine. You don’t need expert sewing skills and as long as your sewing machine will do a zig-zag stitch you are all set! And what’s more, you don’t have to be a member of FLEWS to take part. Booking is via Joan_Braganza@hotmail.com or you can contact her through the FLEWS Group website.